With all the varied talk of echo chambers online these days, it’s funny to read a book that is, well, actually that. For his debut book, writer-actor-filmmaker Richard Ayoade sits down for a series of interviews with himself to get at the root of all of it: what motivates him, what inspires him, and what aggravates him (here’s a hint: it’s himself). 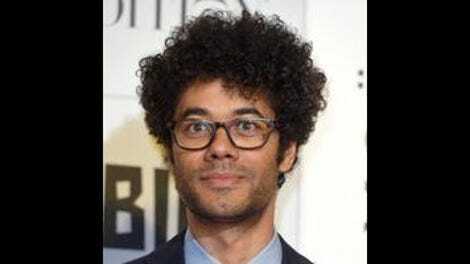 Ayoade is perhaps most recognizable to American audiences for his supporting role on the British sitcom The IT Crowd, where he played Maurice. But beyond that, he’s a regular feature on many British panel shows as well as a prolific director of both music videos and two feature films, 2010’s teen coming-of-age film Submarine and 2013’s adaptation of the Dostoyevsky novella, The Double. His sense of humor is unbelievably wry and absurdist, steeped in pop-culture references. Make no mistake, unlike many a breezy celebrity memoir, Ayoade On Ayoade is not a passive read. There are constant corrections and additions hidden away in footnotes on nearly every page, and much of the book asks the reader to go back to the appendices for extended thoughts or unreleased scripts or emails, all of which, of course, plays in on the joke. Some of this is very funny: a series of imagined tweets written by Terrence Malick during the production of To The Wonder, for example, are a perfect blend of Twitter jokes and Malick’s interest in nature and naturalism (what with Malick’s assumed Twitter handle being @MagicHourMan). Other additions at the end of the book are also amusing, but to flip back and forth so often kills the momentum of the conversation, making reading Ayoade On Ayoade a very disorienting experience. Ayoade, the interviewer, is earnest and curious, desperate to get any kind of answer out of his subject: himself. Ayoade, the subject, is cagey and defensive, unwilling to give any real responses to what seem like legitimate questions and deeply uninterested in addressing any kind of criticism. Those who are fans of Ayoade’s work should look elsewhere for earnest insights on his comedy; much of Ayoade On Ayoade is committed to the play on the form of directors interviewing each other as well as niche film-related jokes. It’s difficult to navigate, at times, who Ayoade On Ayoade is actually for. 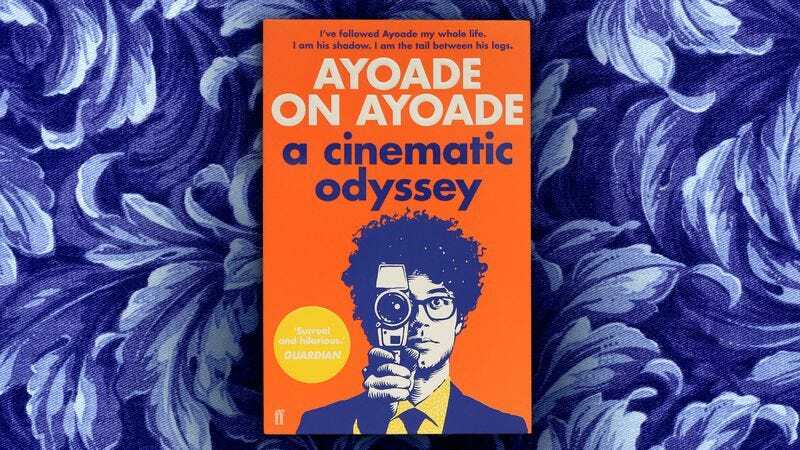 The text requires, to some extent, a general familiarity and enjoyment of Ayoade’s work, but also asks its reader not to emotionally invest in any way. This can work, no doubt, and Ayoade On Ayoade is fun and silly at times, with excellent touches of surrealism and send-ups of movie tropes. But it comes out empty in the end, echoing back on itself. Purchase Ayoade On Ayoade here, which helps support The A.V. Club.